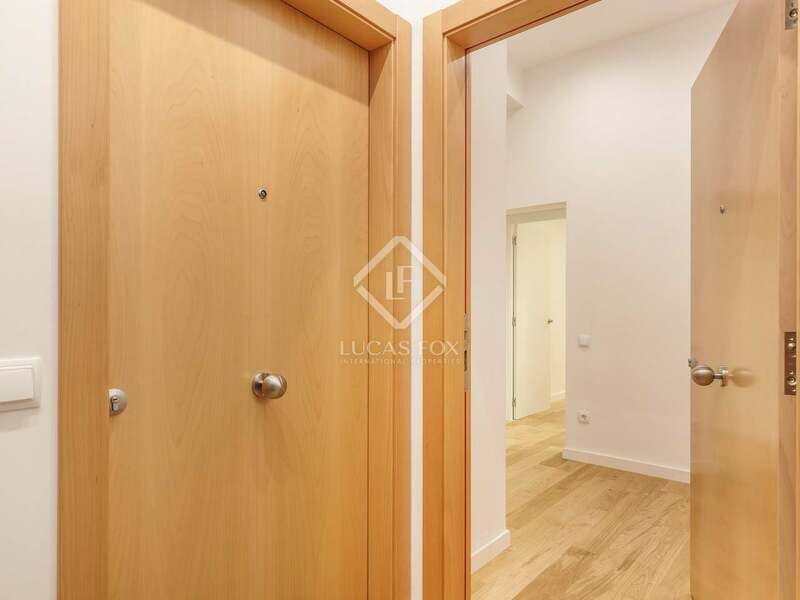 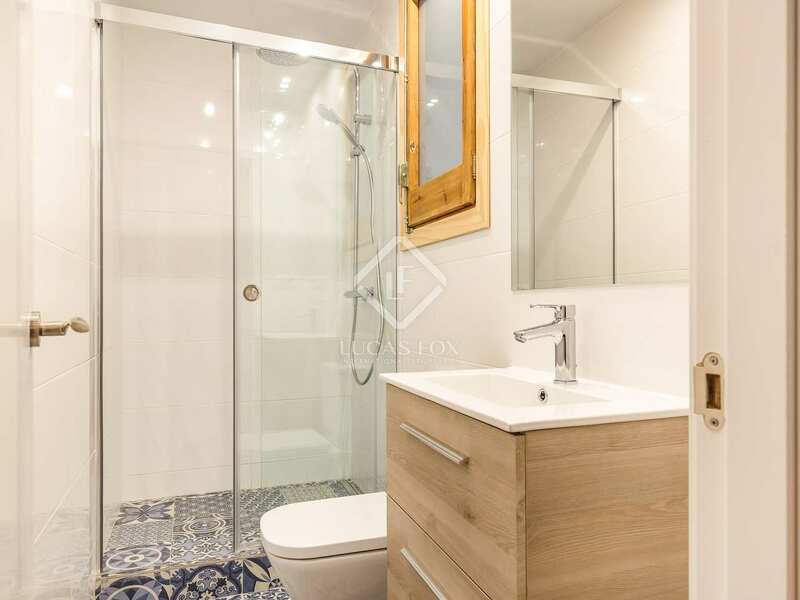 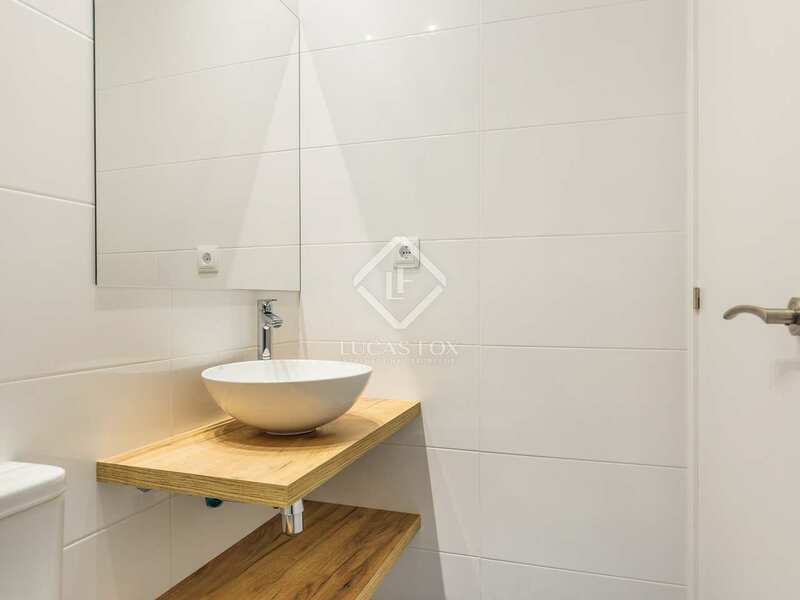 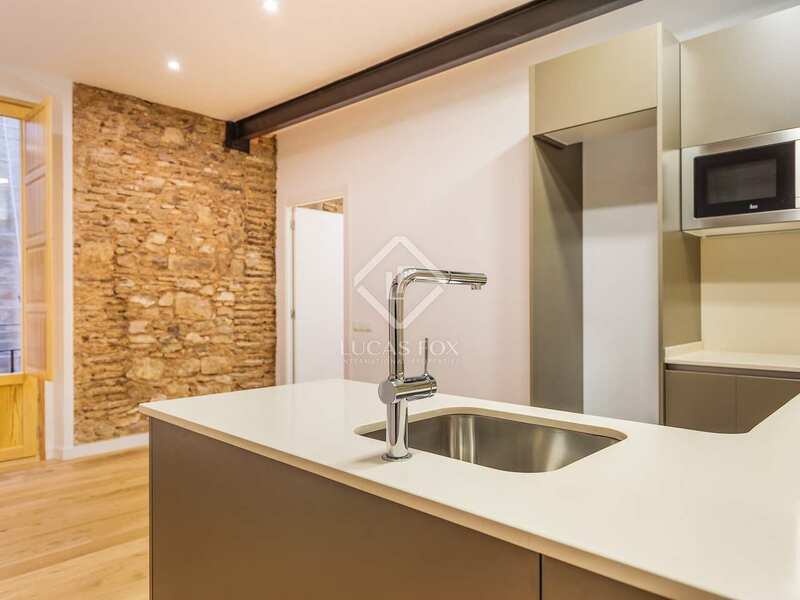 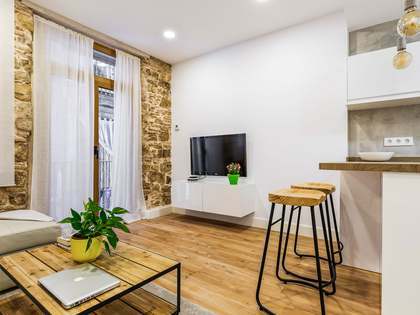 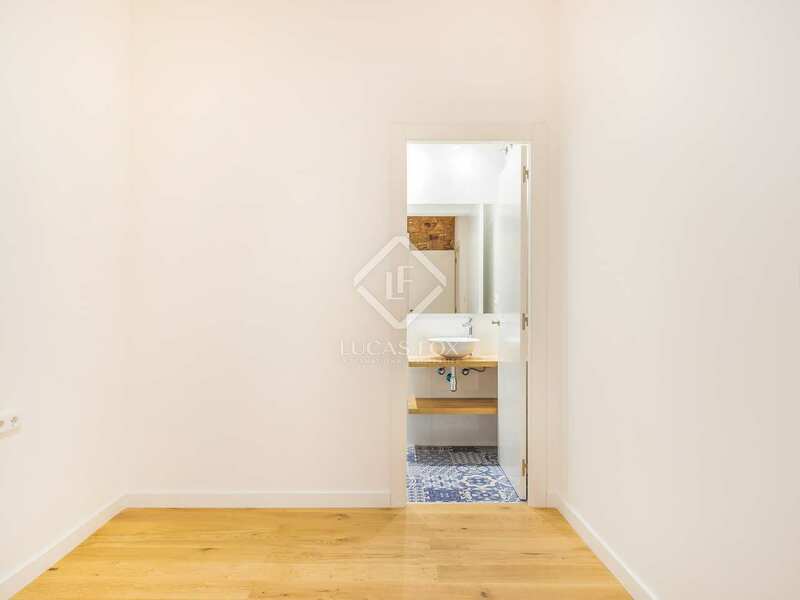 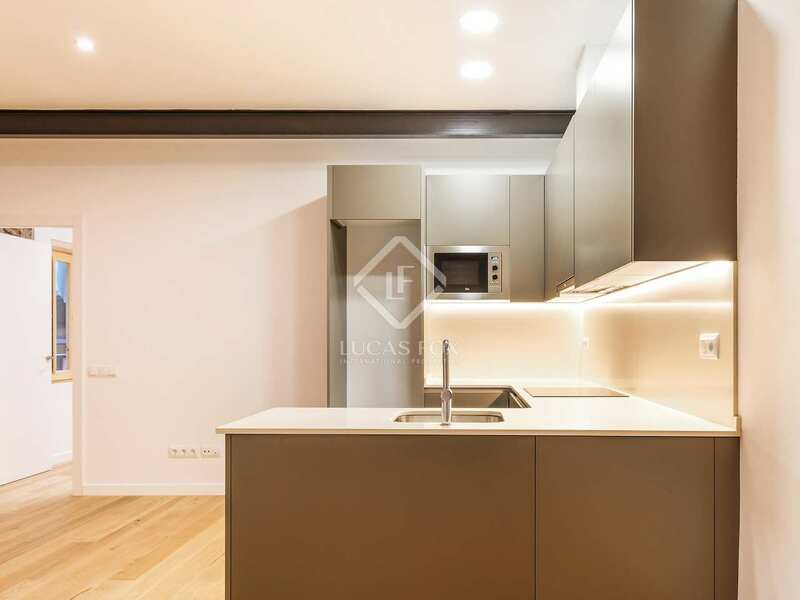 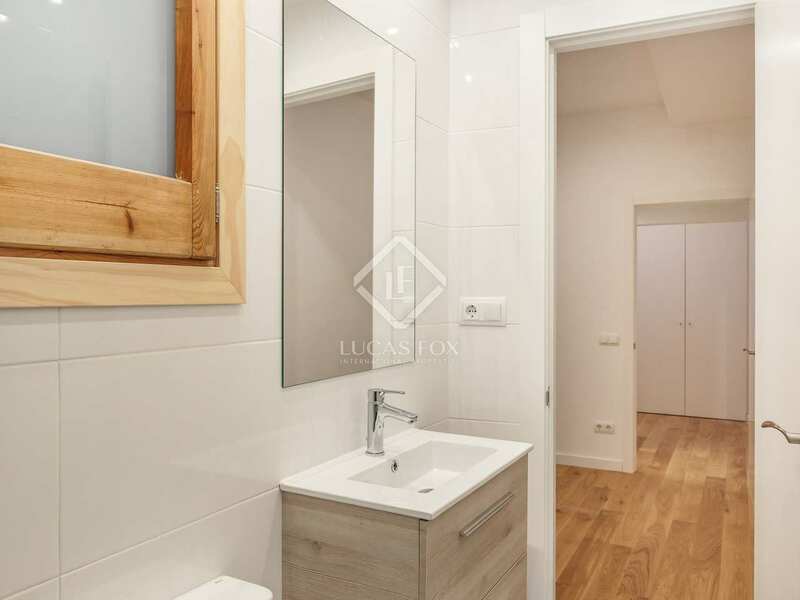 Beautiful renovated 2-bedroom apartment with high ceilings and impeccable new finishes, located in the trendy Born neighbourhood of Barcelona Old Town. 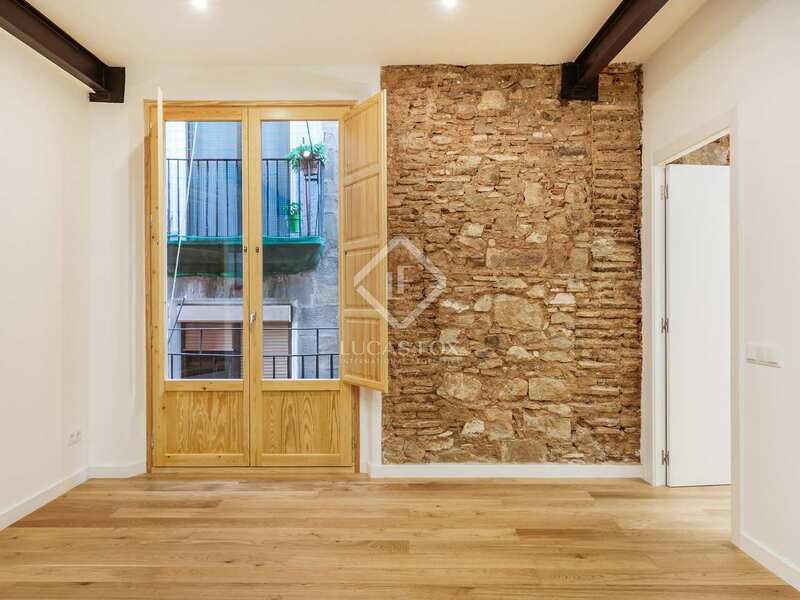 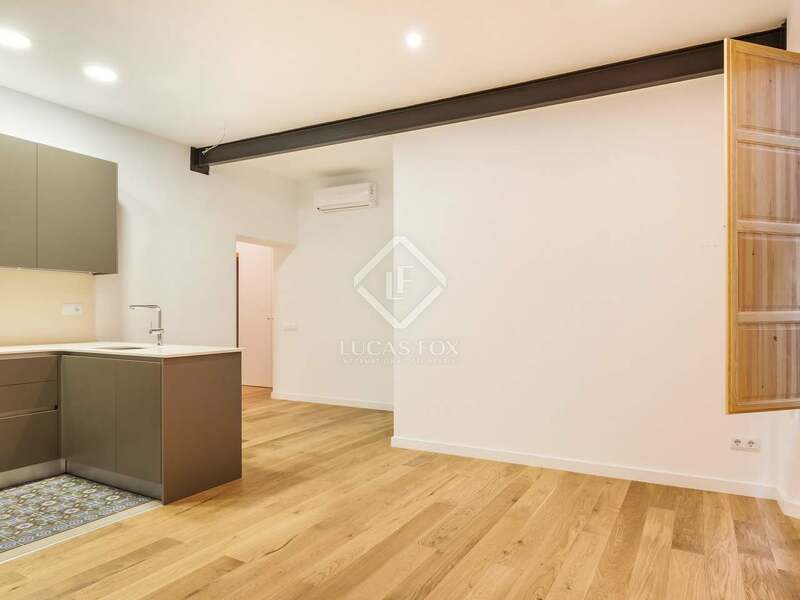 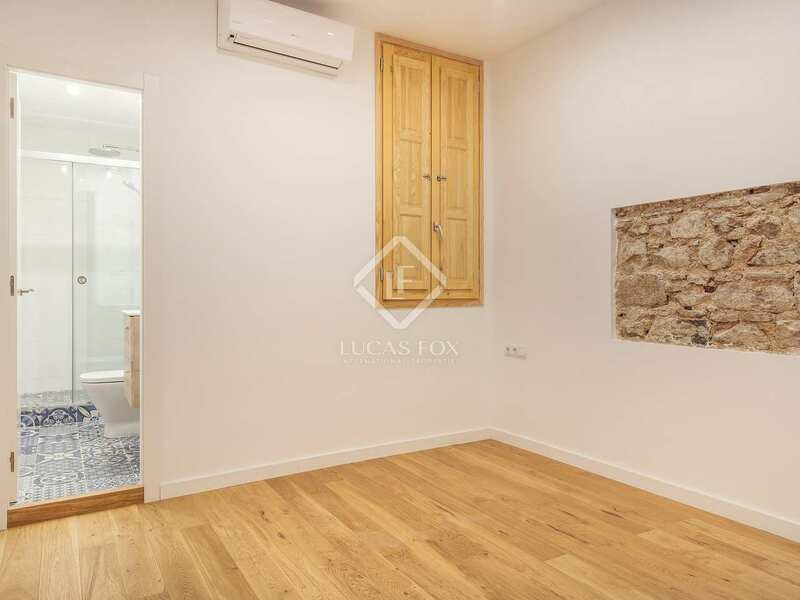 At the heart of the trendy Born neighbourhood, on the charming Plaça de Santa Caterina, we find this 73 m² property on the third floor (real height) of a historic building with a lift due to be installed in the next few months. 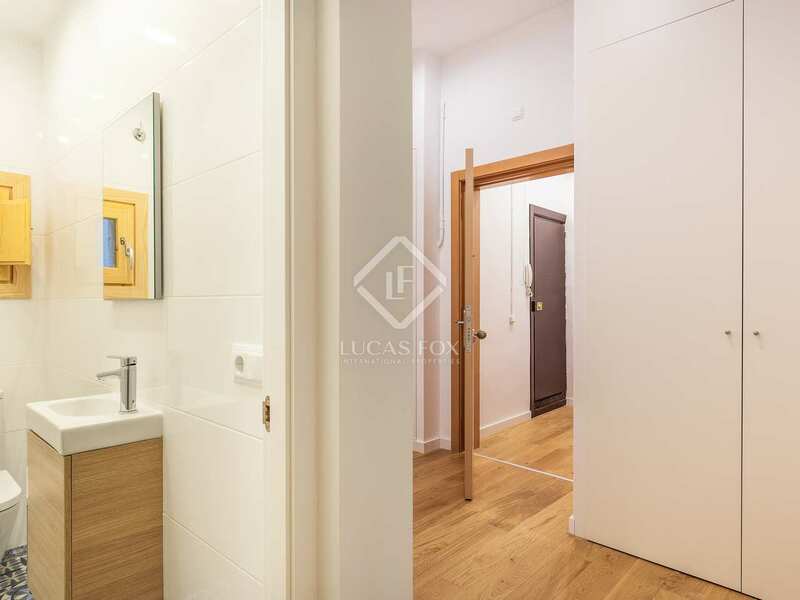 The apartment has been completely renovated and is presented in perfect move-in condition. 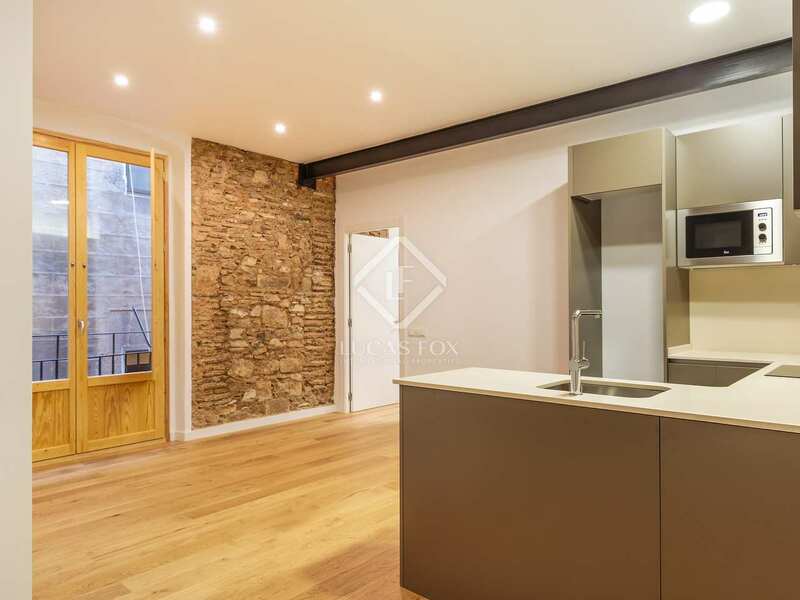 It boasts plenty of natural light and views of a historic street from its balcony in the living room. 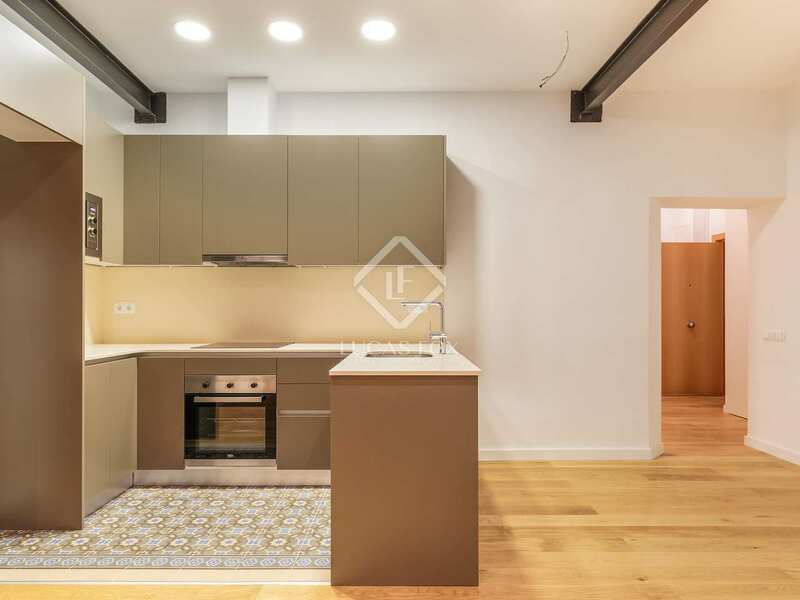 On entering we find the spacious, bright living room – dining room and open kitchen with the balcony. 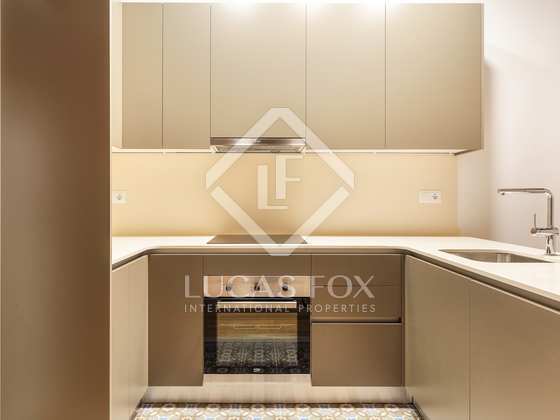 The contemporary style kitchen has a built-in oven and microwave and pretty mosaic style floor tiles that remind us of the Modernista era and combine nicely with the exposed stone wall, wooden floor and elegant, high ceiling. 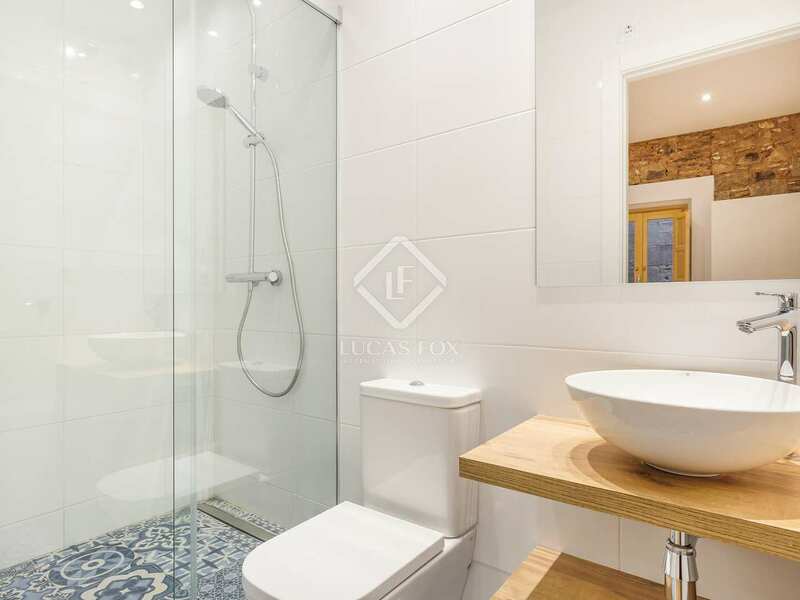 The property also has 2 en-suite bedrooms and a guest toilet which have each been beautifully finished and decorated in a unique style. 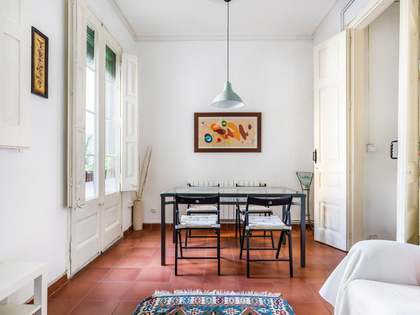 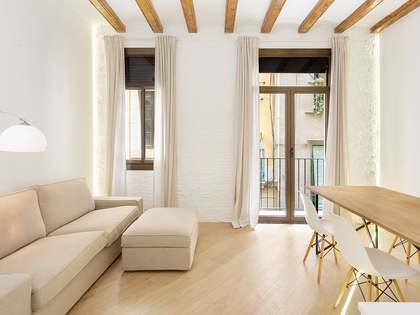 This is an ideal home or pied-a-terre at the heart of Barcelona's historic centre. 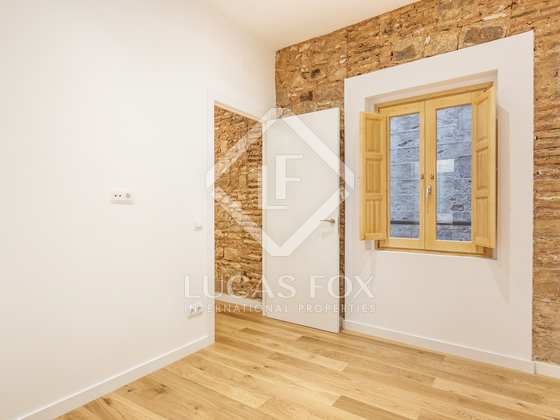 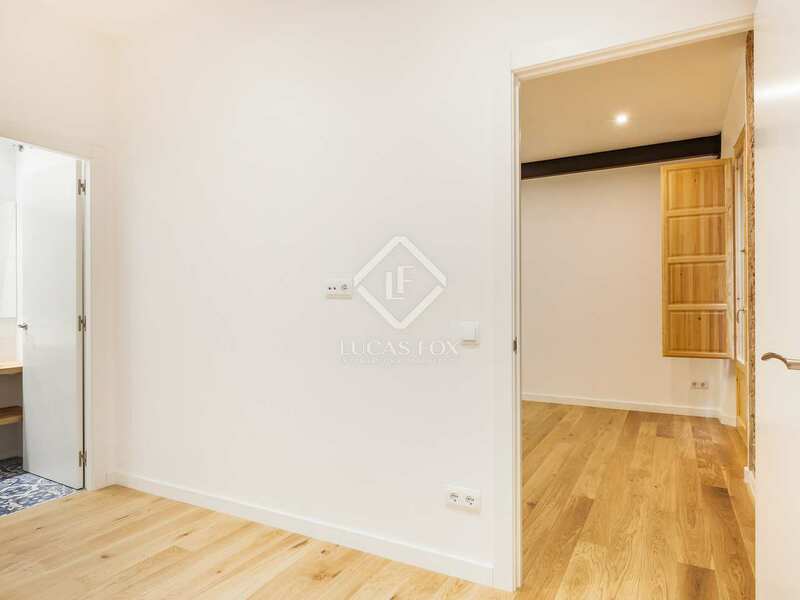 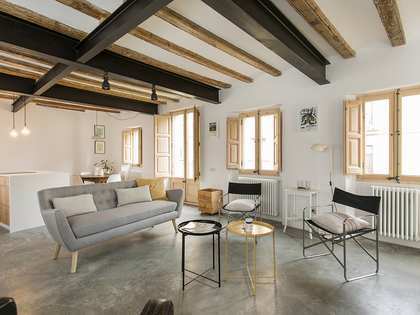 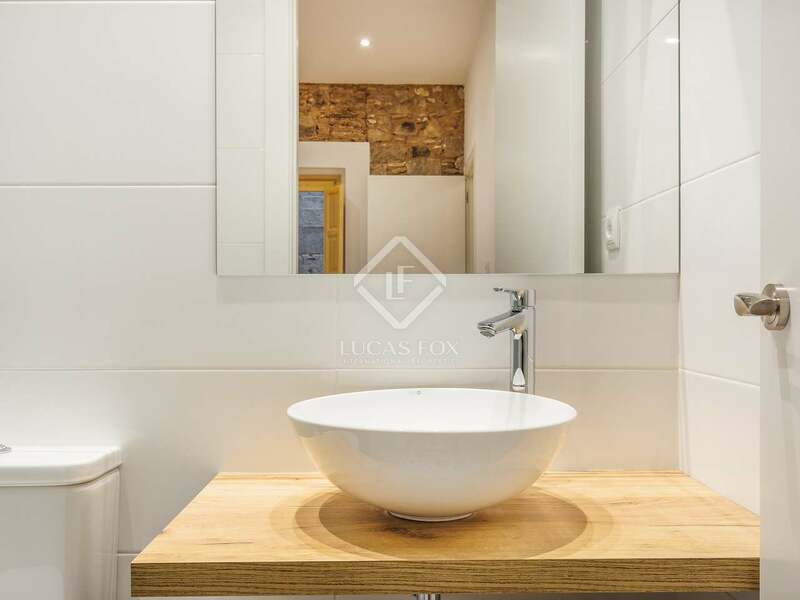 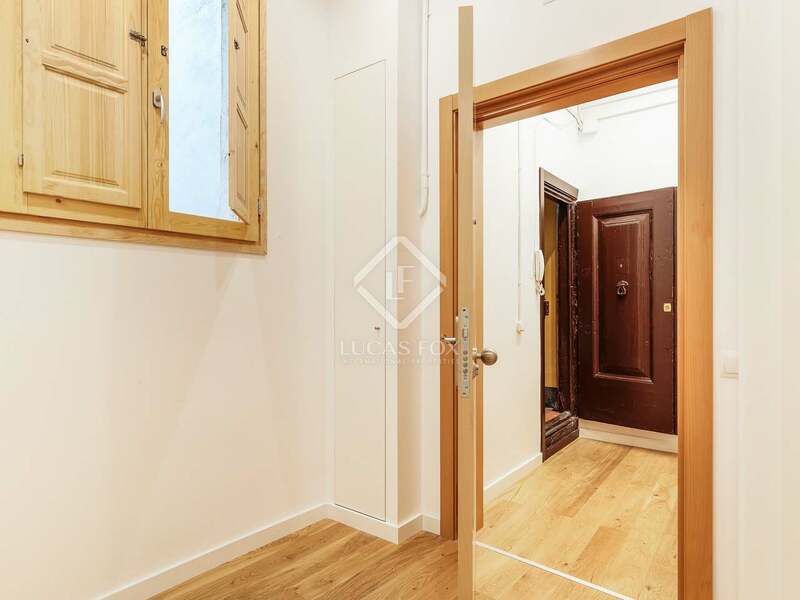 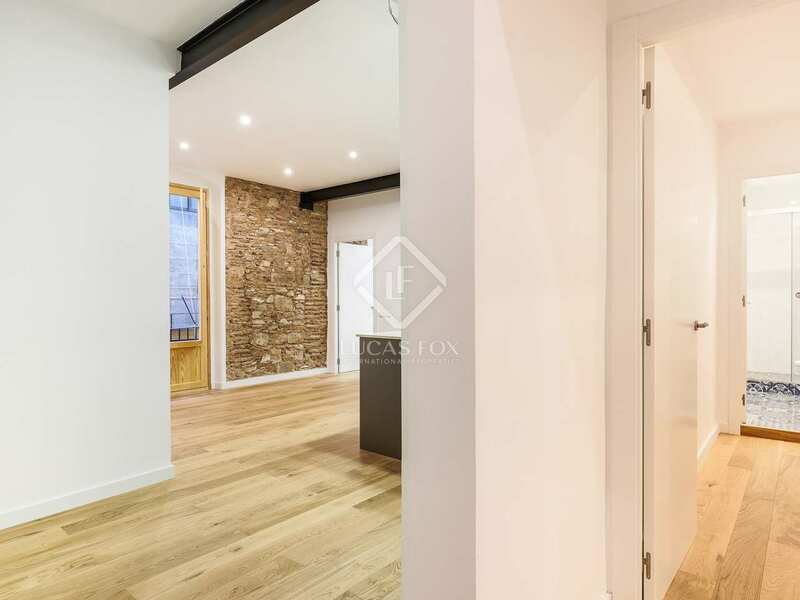 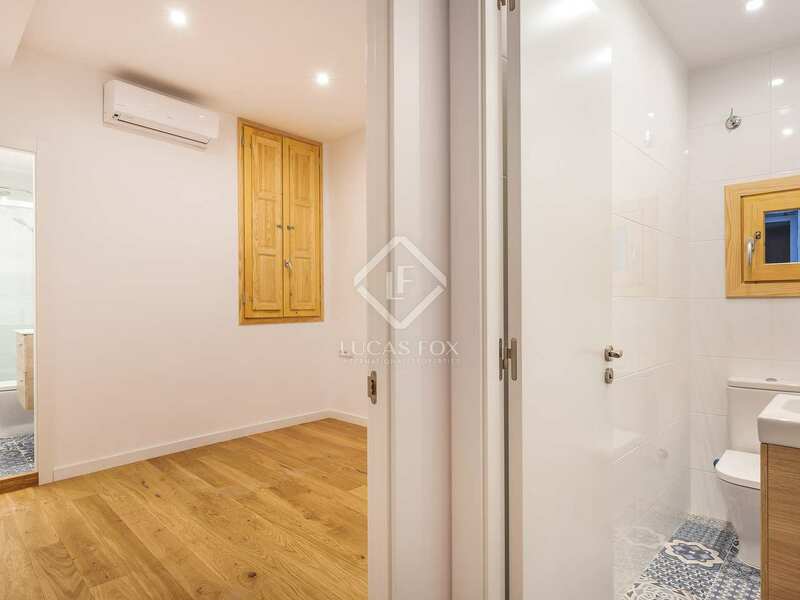 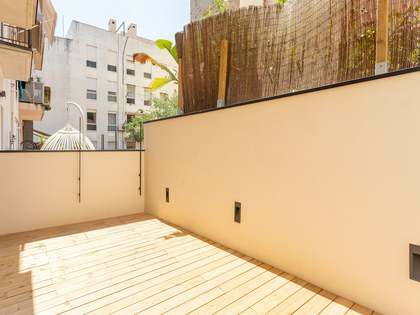 Property located in the trendy Born neighbourhood of Barcelona Old Town. 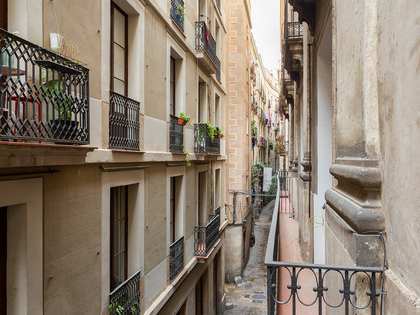 It is found on Plaça Santa Caterina, next to the market by the same name and near Sant Jaume metro station.